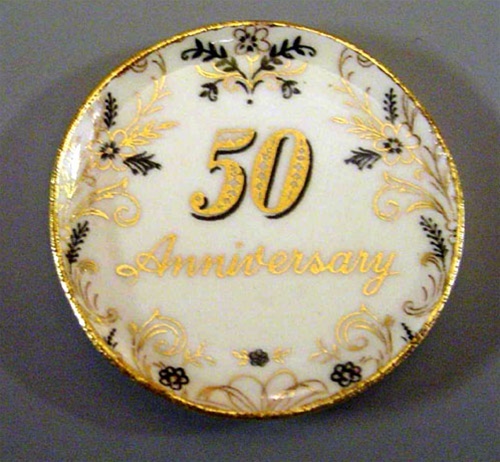 50th Anniversary Platters. Decal is micro thin and nicely applied. 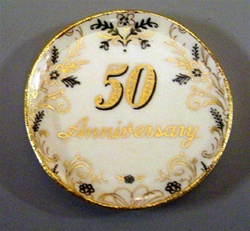 Gold hand painted rim Approx. 1-1/2 inches in diameter.